The legislative and regulatory calendars for 2015 are already filling up with opportunities to impact the biomedical research and development landscape in the United States – from 21st Century Cures to PDUFA VI negotiations to the impact of the omnibus on appropriations. In this Webinar, experts in federal budgetary, legislative, and regulatory matters talked about what to expect from Washington, when and how to plug in, and where to direct patient input for greatest policy impact this year. “2015 is an important year for what is possible in biomedical R&D,” commented Margaret Anderson while introducing a FasterCures-hosted Webinar on Jan. 29 about the outlook for medical research policy this year. Along with guests Andrew Emmett of the Biotechnology Industry Organization (BIO) and David Zook of FaegreBD Consulting, the panel offered insights about what legislative and regulatory milestones to expect from Washington, and where to direct input for greatest policy impact this year. A Banner Year for R&D Policy? If the first weeks of 2015 are any indication, medical research is poised to have an elevated role on the national agenda this year. Between the President’s remarks at the State of the Union, the release of the 21stCentury Cures Act discussion draft, the announcement of the White House’s Precision Medicine Initiative, the health investment proposed in the FY2016 budget, and the upcoming Prescription Drug User Fee Act (PDUFA) VI negotiations, this stands to be a particularly busy year for advancing policies that further biomedical innovation. Opportunities for input from stakeholders are plentiful, and reflect a move towards greater inclusivity in the policy making process and acknowledgement of patients as vital partners in their care. Zook addressed the concern that with a Republican majority in both the House and Senate, political friction with the White House could stymie progress. “Common ground is necessary to move forward on major legislative changes,” he said. He remains optimistic that many members, regardless of party affiliation, are showing the potential to work together on medical research issues and get things done for the benefit of the American people. Another concern, he pointed out, is the potential for across-the-board cuts to all federal agencies, including the NIH and U.S. Food and Drug Administration (FDA), in a process known as sequestration. 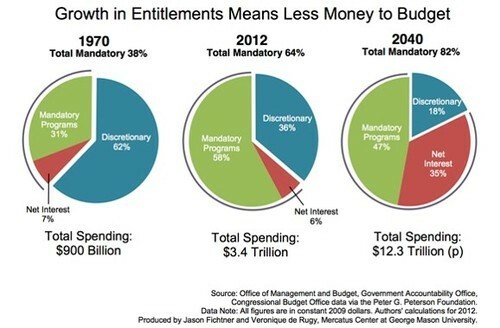 “We’re heading into difficult territory on the appropriations front,” he cautioned. With the goal of passing a bill before Memorial Day, the Committee has its work cut out for it, both speakers agreed. But while many changes may occur to the current 400-page draft, they are optimistic about the probability of the bill becoming law this year. The House Energy and Commerce committee is currently seeking feedback on the proposals outlined in the draft. All interested stakeholders are encouraged to submit specific suggestions about how to improve the legislation to cures@mail.house.gov. The Senate has launched a complementary process to seek bipartisan input on reforming the drug discovery cycle with a report released last week, Innovation for Healthier Americans, by Chairman of the Senate HELP Committee Sen. Lamar Alexander (R-TN) and Sen. Richard Burr (R-NC). They are seeking comments on the report by Feb. 23, and will begin hearings in March. Many believe that the 21st Century Cures initiative will dovetail into the next major opportunity for stakeholders to come together to address challenges facing the FDA—the PDUFA VI negotiation process. As Emmett explained, regulated industry will have a series of meetings with the FDA beginning in June 2015, with parallel meetings between the FDA and other stakeholders (including patient advocacy organizations), leading to an FDA-industry agreement by March 2016. Emmett pointed to efforts to expand the feedback collected under the PDUFA V-initiated Patient-Focused Drug Development Initiative, which invites patients to share their input on benefits and risks with the FDA. 21st Century Cures includes, he explained, a new section that explicitly links the statutory benefit-risk framework to a process for submitting more quantitative patient experience data. 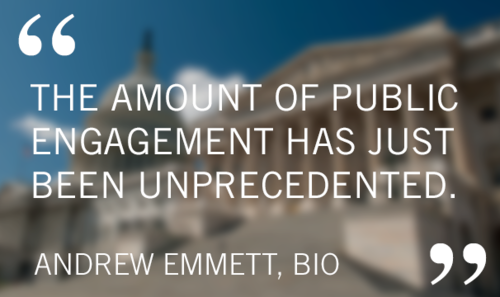 Emmett complimented the FDA for its recent successes in improving the regulatory approval process, noting that the 41 novel new drugs approved in 2014 was an 18-year high for the agency. He also pointed out that the PDUFA discussions are singularly focused on FDA processes, not the entire drug development cycle the way the 21st Century Cures is. 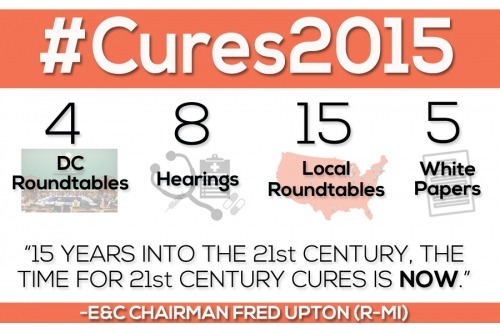 FasterCures is hopeful that with this strong early momentum, 2015 will prove to be a productive year for medical R&D policy. We look forward to continuing our efforts to pave a path of meaningful engagement between patients and policymakers as the year unfolds.